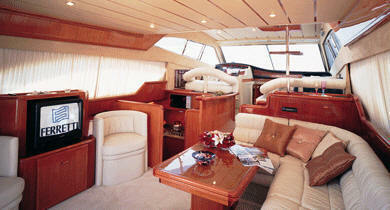 She is a brand new boat, delivered in April 2001. 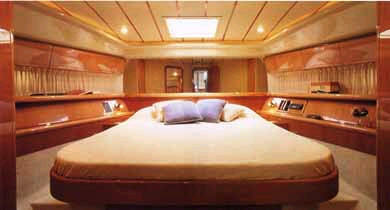 She offers an incredible degree of ease-of-use and adaptability for living : the salon with its double dinette, the ample helm station with its two (covered) entrances where space is harmoniously dedicated to the master stateroom, the three guest cabins and the galley. 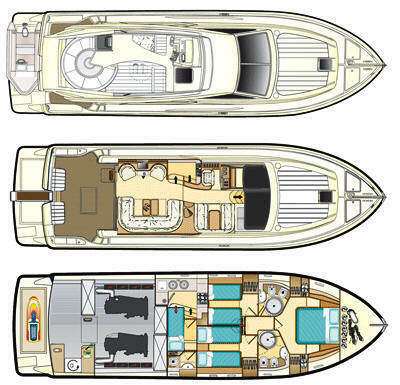 In brief, Columbus is ideal for those who desire a yacht that is agile and compact, while at the same time comfortable, practical and elegant. 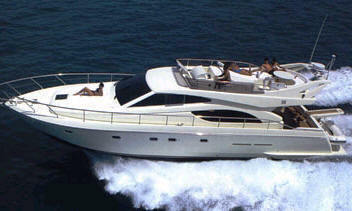 The Ferretti 55 has comfortable quarters for 6 people plus crew in private double cabins. 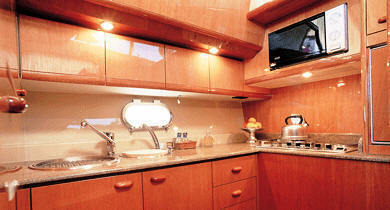 The master statesroom has a queen berth with comfortable and tasteful decor, and a private ensuite head with shower. 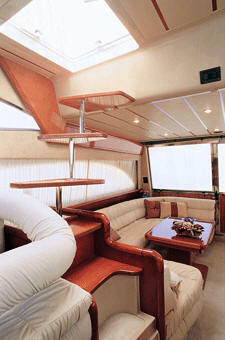 There are two twin cabins and one extra bathroom. 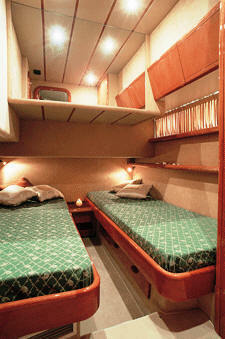 Crew quarters are separate and additional.